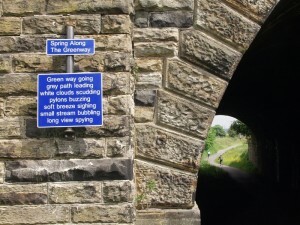 The award winning Spen Valley Greenway is a wonderful green corridor running through densely populated urban areas, beautiful countryside with moor-land views, a wildlife reserve and the rolling hills of West Yorkshire. The 8-mile route runs from Ravensthorpe (on the former Huddersfield to Wakefield line) to Low Moor (on the former Bradford to Halifax line) and into Bradford, connecting the towns of Cleckheaton, Dewsbury and Heckmondwike along the way. 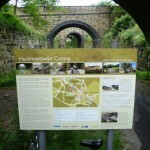 The former Spen Valley Line, (official name Cleckheaton Branch) was opened to traffic in 1848 and carried a mixture of passengers, freight and summer excursions to the coast*. After being closed in stages between 1965 and 1981, the route re-opened as a cycle and walking path in 2000 and remains one of the most popular and well-used sections of the National Cycle Network. 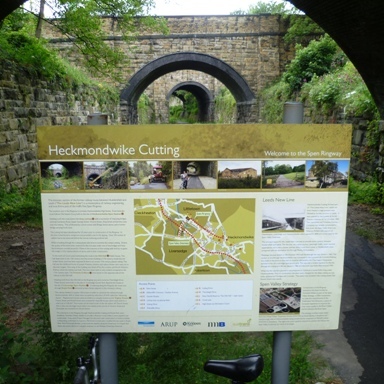 The Heckmondwike cutting, formerly part of the New Leeds Line which crossed the Spen Valley line, now forms the Spen Valley Ringway, a shorter route connecting Heckmondwyke to Littletown. 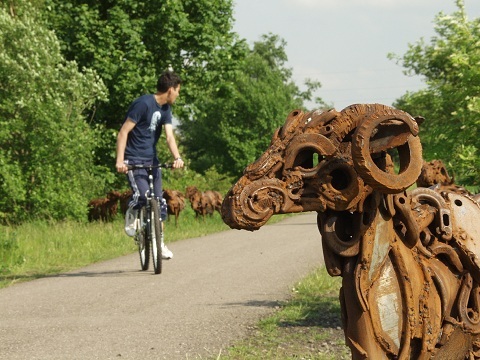 The path is famous for being home to a stunning collection of artworks including Sally Matthew’s flock of Swaledale Sheep constructed from recycled industrial scrap and the iconic ‘Rotate’ by Trudi Entwistle – 40 giant steel hoops set in a circle. 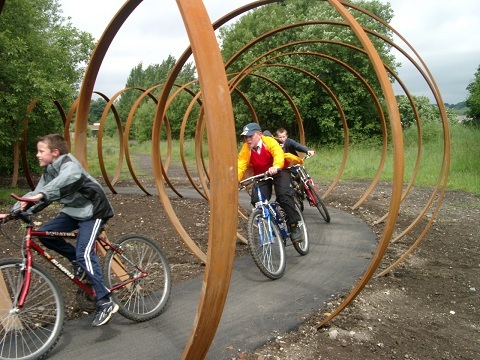 The route is completely traffic-free with a gentle climb from Dewsbury to Oakenshaw, and from Oakenshaw, you can continue all the way into Bradford using signposted cycle lanes and paths. 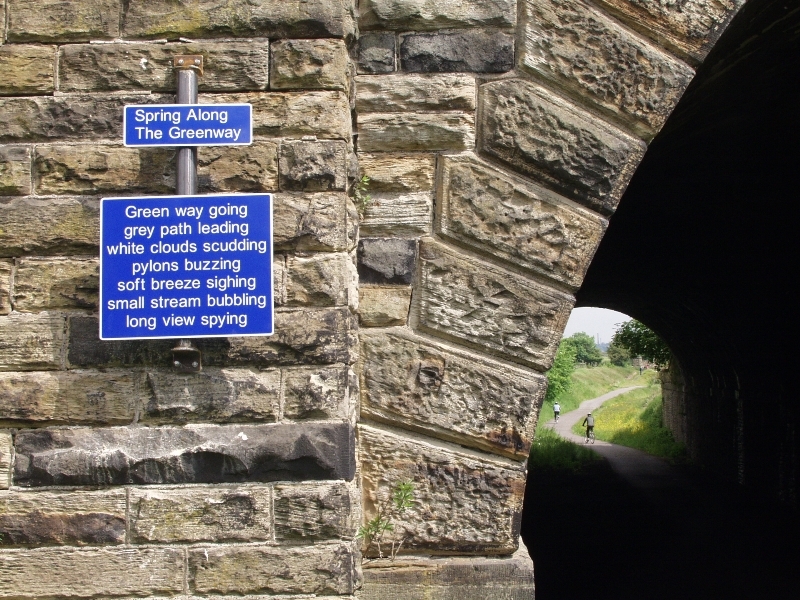 For information and a map of the route, download the Spen Valley Greenway map leaflet (PDF, 1.2Mb).